Qreative Quilts: Traveling Stash Giveaway!!! 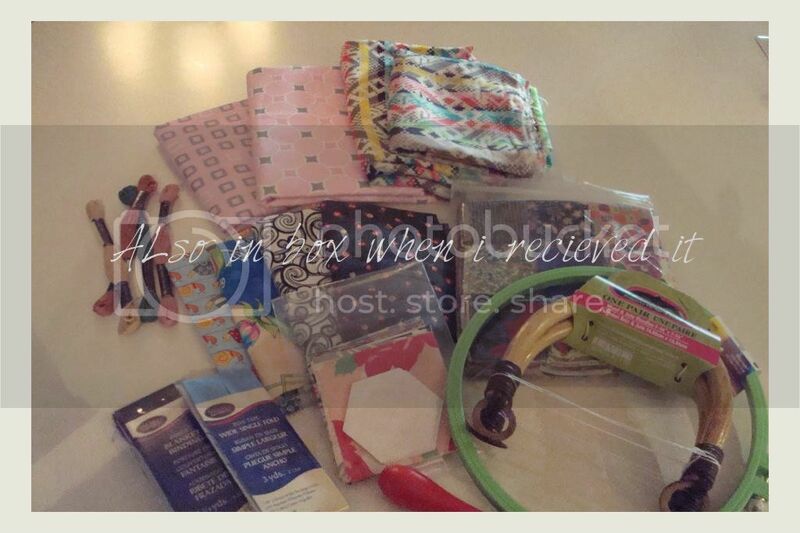 I'm sure some of you have heard by now that I won traveling stash box #5 from Marci at Marci Girl Designs recently. 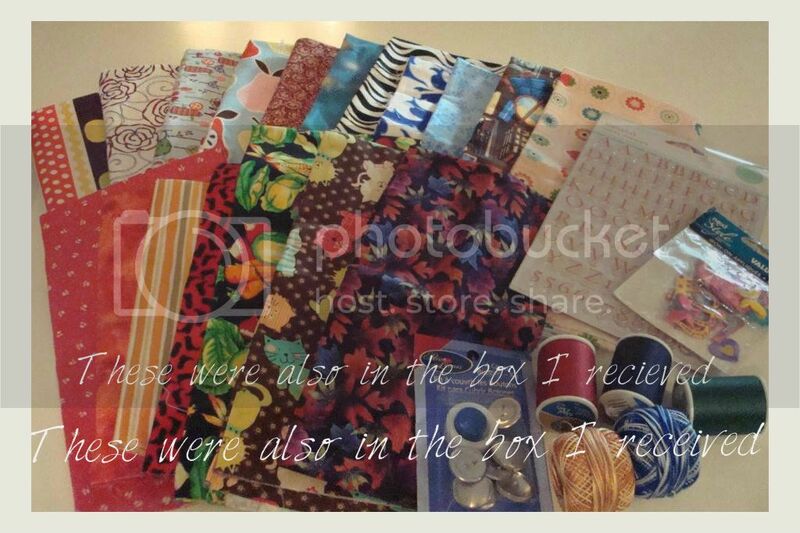 If you don't know the traveling stash boxes are fabric and goodies that travel around the US and are kept track of by Cherise at Sewingly Along, she does a fantastic job and you can always see where the boxes are by visiting her blog. When you are the lucky recipient you can keep anything you want out of the box, as long as you replace what you take with like items. What a great idea, huh??? Wow, talk about a lot of options to choose from. I am super excited about the hexagons. Can't wait to use these. The button covers will become cherries for a quilt I'm working on. Thanks Marci!!! I love the books so I kept those and added two different ones back in. 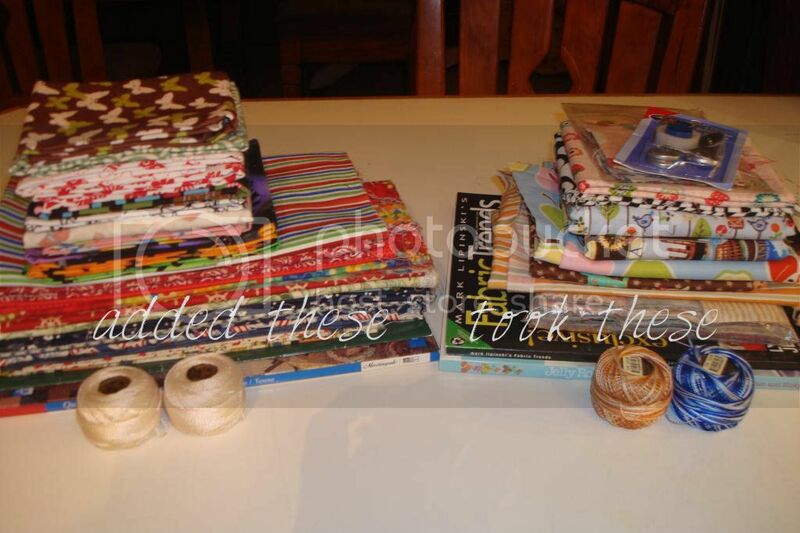 I also love the two inch squares, can't wait to see what I can create with them. There are a lot of cute cuts in there. Bet you're excited to see what is in the box now. These next pictures show what I added back in. Although to get it to all fit I had to take the multi-color striped fabric that is in the upper right hand corner of the third picture from the top on this post. 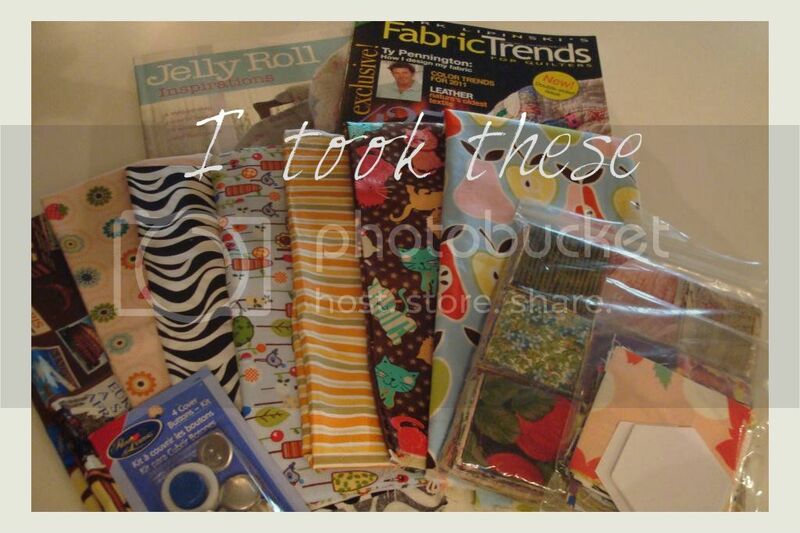 I added also added some snaps, sewing machine needles and some fusible tape not in these pix. The lower set are all fat quarters. 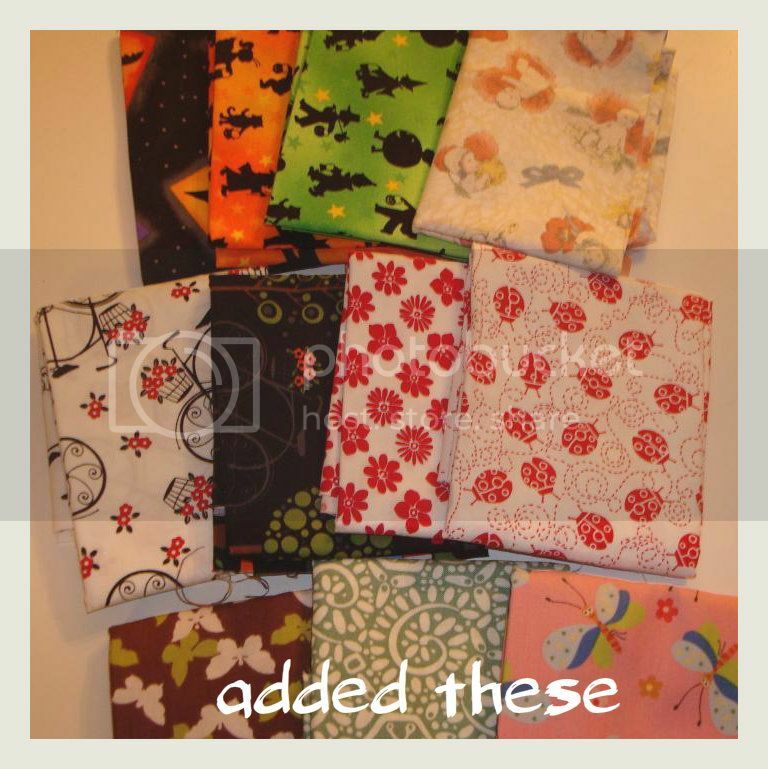 The upper set has a mixture of 1/2 yard cuts and fat quarters. This box is once again jammed full and ready to visit one lucky lady or guy. If you want a chance to win this box there are a few rules you must follow in order to enter. Be an active Blogger. 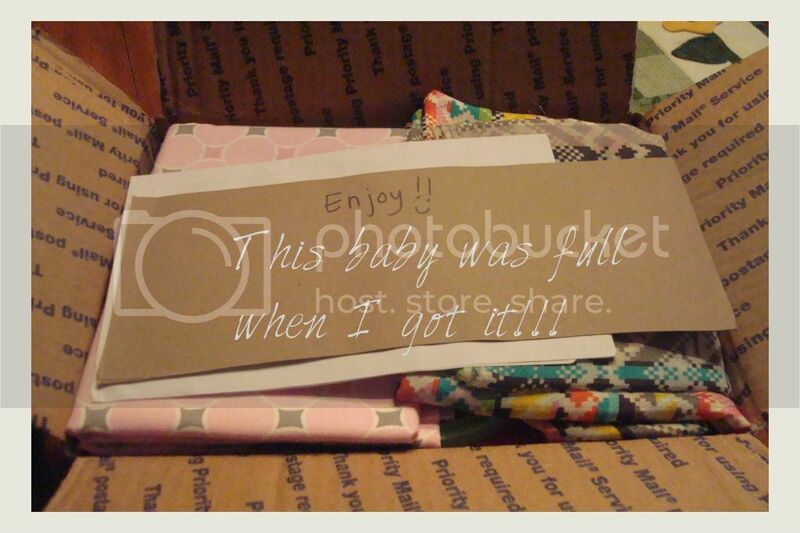 Post about receiving the box and the giveaway on your blog in a timely manner. There is a note in the box that logs where the box has been. Please add your info and place the note back in the box. There is a list of Rules and Guidelines in the box. Please read and follow these and return the list to the box. You may take anything you like from the box. 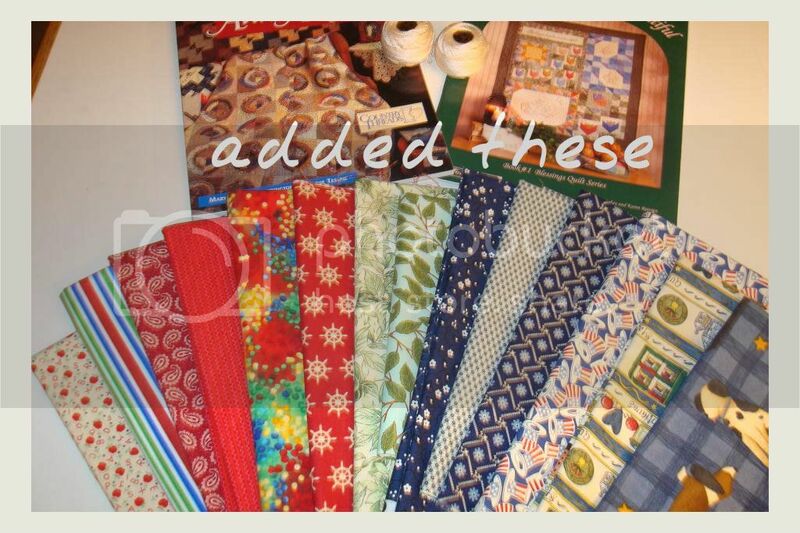 Just replace each item with a comparable quilt shop quality item eaqual to the amount taken. Ship the box to the next person in a reasonable amount of time. Please leave a comment here for a chance to win, one comment per person. In your comment maybe you can let me know what your favorite thing about fall is. I will leave the comments open until Thursday night, October 11th...8pm PST. Hopefully Mr. Random will help me choose a winner shortly thereafter and I will contact the lucky winner. If you are a no-reply blogger please post your email address in your comment or you will be disqualified. Sorry but I need a way to contact you and get your 4.1.1 should you win. What a wonderful treasure chest - oops, traveling stash box! I love the cooler weather, change of colors, wonderful smells, pumpkins and winter squash, and apple picking. Woohoo, what a box love to get that one. I love the changing of the leaves and the mild weather. This is such a fun stash box! My favorite part of fall is the cooling of the weather (I moved from Alaska to Texas, so you can imagine). I also love how everyone in the neighborhood comes out of hibernation and are very active. Fall is my favorite season. I love everything about it. I think my most favorite thing is the colors, oranges, yellows, reds. All my favorite colors. Thank you for the chance to win this box. What a fun box! What do I love about fall? The cooler weather. Since I live in hot and humid Florida, cooler weather is wonderful!!!! I love the colors of fall and of course the much needed cooler weather. 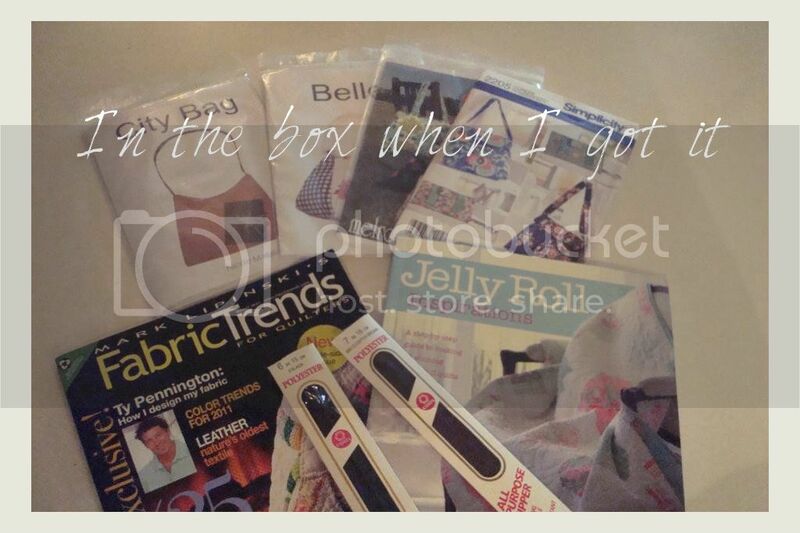 Please add my name to the draw for this great box of goodies! Wonderful box of goodies to choose from. I love the cooler fall weather. I have had it with the heat. Please add me to the draw. Thanks. Great looking box please add me to the draw thanks. oooo.. I'd love to have this box visit me.. What I love about fall is the cooler weather.. the crisp smell of the air.. Apple pie, pumpkins, football games.. :) I met my husband in October.. :) I hope I get this wonderful tresasure! Congratulations on winning the box!! I love fires and s-mores! There's so much to love about fall...including my birthday! Also crunching through fallen leaves, hot drinks on cold hands, the smell of woodsmoke in the air. Definately apple picking, I'm hoping to go this weekend. I always pick too much and get burnt out on apples. But I love it!!! Obviously don't add me into the drawing, but I just wanted to say that I am so glad you found some wonderful goodies that you wanted to keep! Fun, fun!